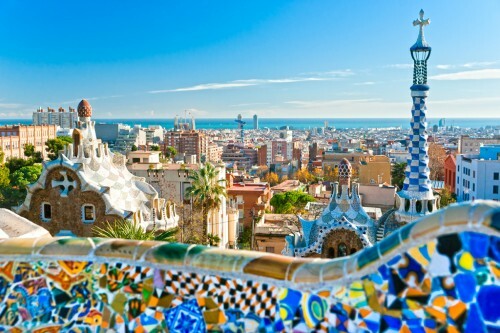 Ryanair starts at the beginning of April its Summer route to Barcelone from capital of Slovakia. 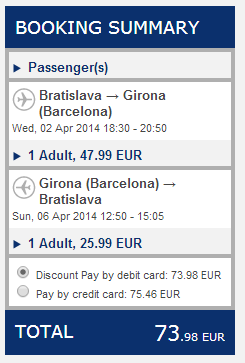 Return flights from Bratislava to Girona are available from €74! The price is valid if you travel with 10 kg cabin luggage and pay with debit card. Travel dates are from April onwards and the price increases the closer you get to the Summer. The flight will take you to Girona which is around 90 minutes from center of Barcelona. Convenient buses are linking the airport with the city center. « Cheap holidays in Sardinia: 7 nights in 3* hotel+return flight for €224!